Pickled herring, also known as Bismarck Herring or as it’s known here on the East Coast of Canada, Solomon Gundy, has been around for ages. Not nearly as popular as it once used to be, this intensely flavorful and yes, fishy fish can pack quite a punch to the un-initiated. Due to its relative ease of production and long shelf life, pickled herring was once very popular for families on a budget. In recent years though it seems, very strongly flavoured food items,( such as fermented and other cured foods) like this have fallen out of fashion. Most children these days will probably never have even tried pickled herring, and yet it is full of nutrients essential to our diet. Full of vitamin B & D, pickled herring can easily provide your required daily intake of these two vital nutrients in a single one of these pickled herring sandwiches. Growing up my father loved eating pickled herring. He would eat it plain on dark rye bread with just a little butter, straight out of the jar, and once a year he would make my grandmother’s tried and true, pickled herring and red beet salad. 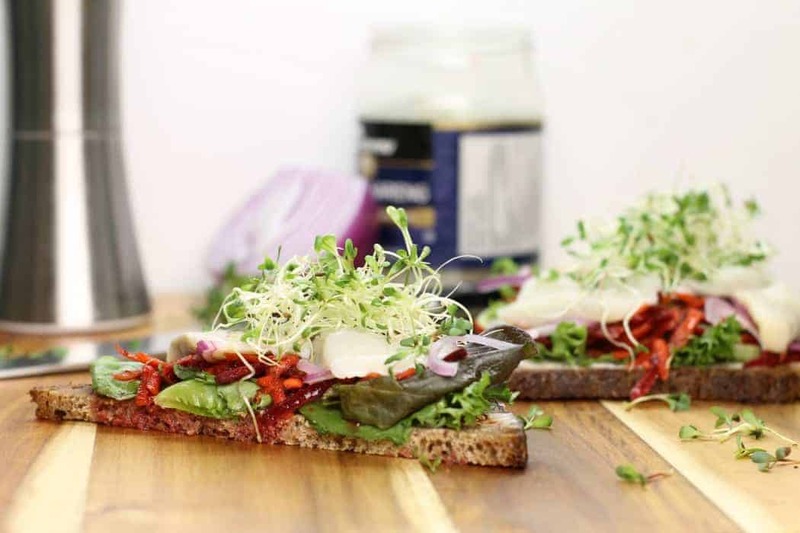 The flavour combinations in this simple meal, which is ideal for a quick healthy lunch or snack are inspired by that salad. All the ingredients are ones that I already happened to have at home, which made it an ideal choice for lunch. The shredded beet and carrot slaw, in combination with the sliced red onion, are the perfect balance for the pickled herring. 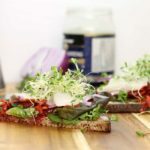 Served on savoury rye bread and topped with homegrown alfalfa sprouts, this sandwich is bound to hit the spot! As a child, I never would have thought I’d make this pickled herring sandwich, but it brought back some wonderful memories. I hope you enjoy it as much as I did. 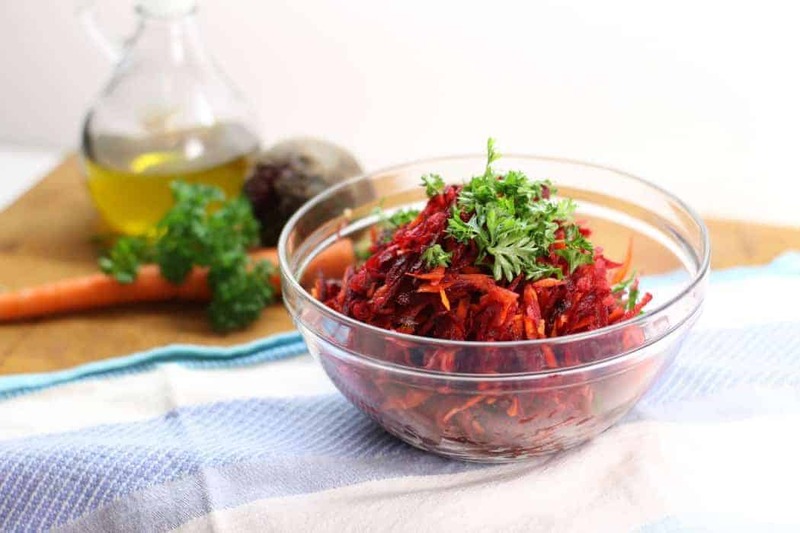 Shred the beet and carrot and mix in a bowl with the oil and vinegar. Season with salt and pepper. If you like you can make a large batch of this slaw and keep it in the fridge for future use in salads or even wraps! Butter the bread and then layer with the various toppings until it looks good enough to eat! 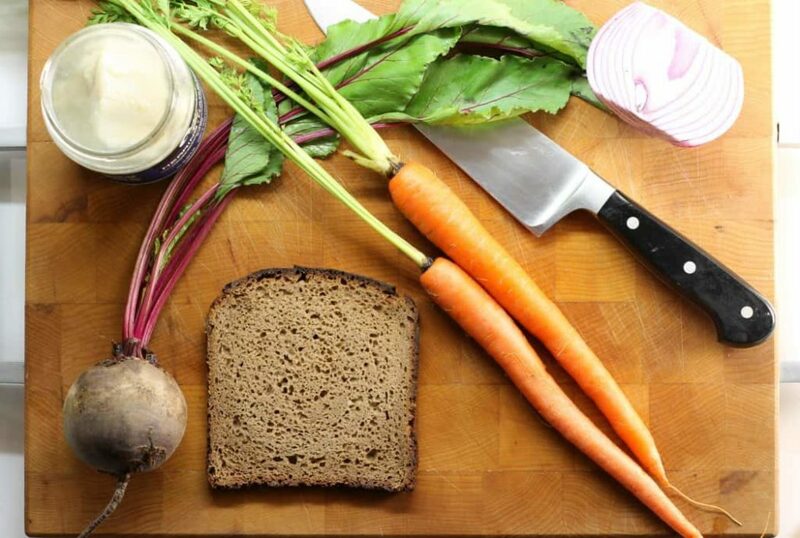 The butter is used to prevent the bread from going soggy since the pickled herring and the beet slaw are wet! Let me know if you made this pickled herring sandwich! 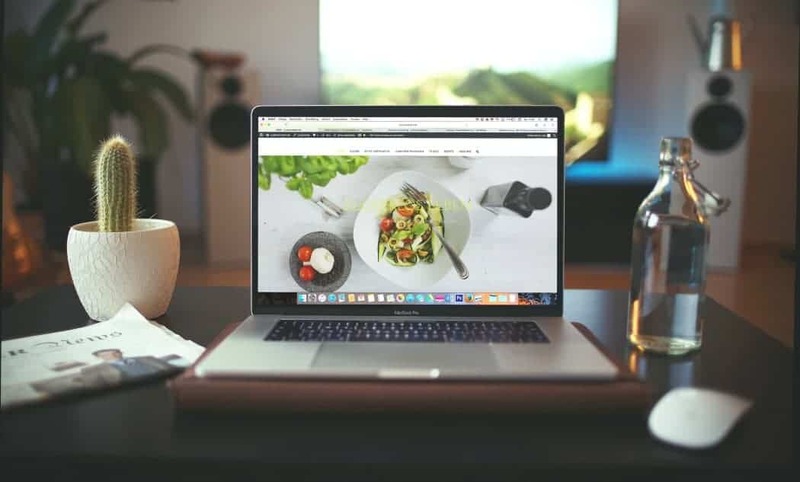 In the mean time, make sure you’re following me on Facebook, Twitter, Instagram, and Pinterest for weekly cooking tips, tricks, new recipes and to stay up to date with everything going on here at Earth, Food, and Fire! A European classic, this pickled herring sandwich, features dark rye bread, a beet and carrot slaw, red onion, and homegrown alfalfa sprouts! Butter the bread, and then proceed to top the slices with the various toppings, until it looks how you want! 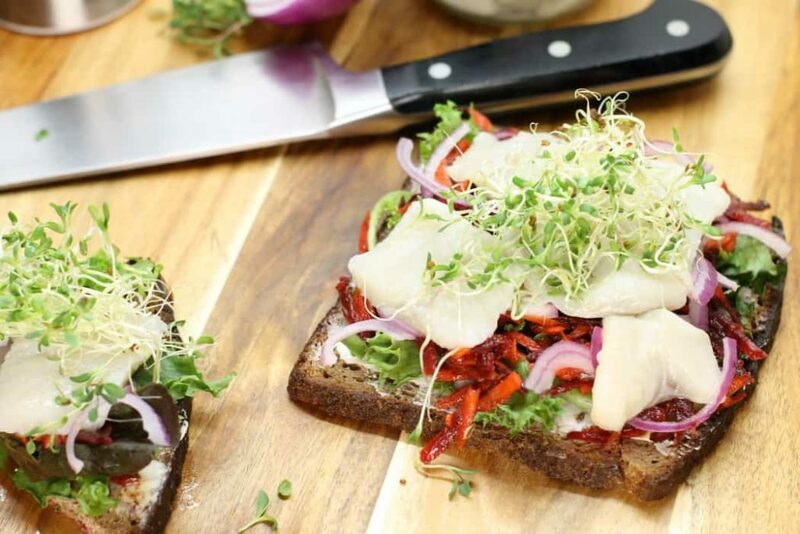 Top with the alfalfa sprouts, and enjoy! Whyyyy oh why have I never had pickled herring before? It sounds great, and I love everything about this sandwich — especially the beet slaw! I’ve seen beets paired with sardines before too. I can only imagine this ‘which to be hella tasty and satisfying.